With a free SeoSamba account, you can access detailed search engine rankings reports and reliably assess actual results of your SEO efforts from your online marketing platform. 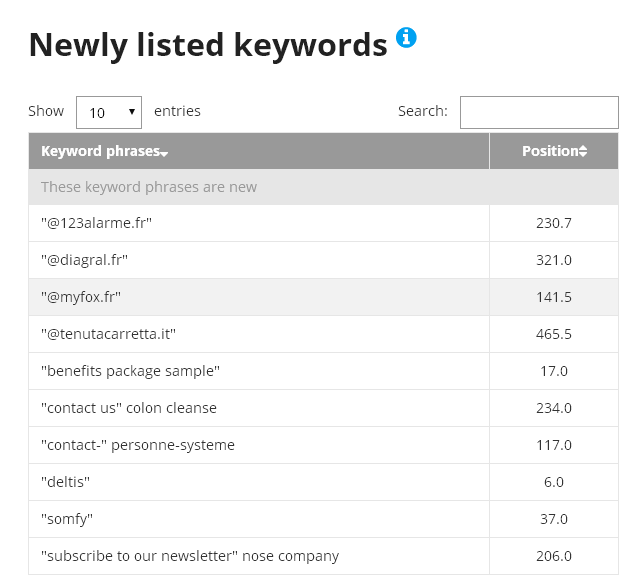 You get automatic reports on searches from your visitors for key-phrases on Google, you can manually target specific keywords, all provided by Google itself, and in full compliance with Google's terms of services. 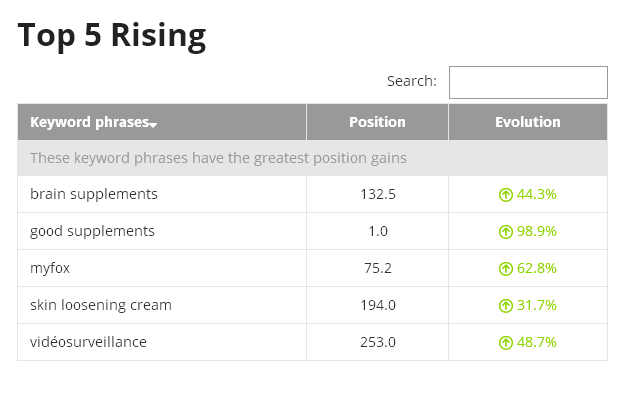 You can see Top 5 rising search rankings at a glance, as well as newly listed keywords. As an added bonus over Google's own tools such as the Google Search Console which only offers 90 days of data history, your free SeoSamba accounts lets you retain your entire search rankings history as soon as you sign on, letting you get a much more accurate picture of your search rankings over time.